Before moving to DC, the last pool I frequented was that in my high school friend’s backyard. Though I took swimming lessons every summer day during my adolescence, in general “swimming” meant flopping around in water to cool off between tanning. Now I’ve come to embrace swimming as a really satisfying form of exercise thanks to my former collegiate swimmer roommate and DC’s free public swimming pools. Swimming is my new favorite winter-months mode of exercise. I’m a little too cash-strapped (read: cheap) to pony up a gym membership and often find working out in a gym, with its mirrored walls and flourescent lighting, to be a bit soul-crushing. Running outside is great, and I’ve been so pleased to find that DC is really a Running City. However, in January, when it is pitch dark both when you wake up in the morning and get out of work at night and below freezing, it’s a little hard to motivate. Plus, running is an alone activity; Swimming at the DC pools makes me feel like I’m part of the community. Something about a group of people all breathing into the same water really fosters bonding, you know? The pool I generally swim at is the William H. Rumsey Aquatic Center (Formerly Capitol East Natatorium), housed in a nondescript building dwarfed by the giant no-longer-burnt-out hull of eastern market. The main pool boasts 25-yard lanes (Olympic-sized pools are 50-yards) and, it being a natatorium, the walls are made of glass, which allows almost full sunlight and an illusion of the outdoors during the daytime. There’s also a shin-deep kiddie pool for those who want to bring their babies to splash around. Of course, the best thing about the pool is that it, like all public pools and parks, is FREE for DC residents. You will probably be asked to show ID, either your district license or, if you’re still an interloper like myself, a bill proving you do in fact reside in the district. At first I was a little intimidated by clearly seasoned swimmers, clad in their speedo shorts and swim caps, doing their fancy flip turns (showoffs). While I know all the strokes, I’m a bit slow, have a hard time breathing out my nose and my only swim suit is a brown one-piece clearly designed more for lounging than racing. After a few visits I realized this didn’t really matter. 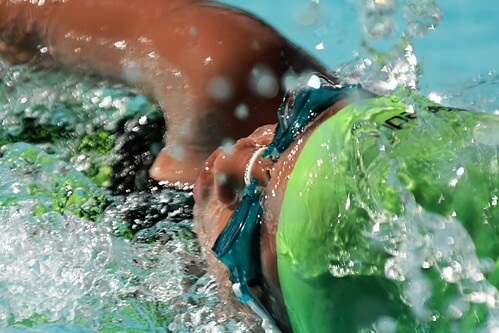 There is a wide range of experience, age and seriousness when it comes to the pool-going populace. During free swim there’s always a Slow lane, if you want to kick or are, you know, slow. For those who can’t even float, the pools offer swimming lessons for all ages. Adult beginners lessons are free for residents, and levels after that start at $20 and go up to $46 (that’s probably when they teach you to flip turn). There are also senior classes and water aerobics, each $25 for residents and $50 for non-residents. Even if you’re not in the class, hearing the water aerobics instructor yell out “Come on, keep it going,” to the sound of Usher remixes serves as motivation. Class offerings differ by pool, so check out the program and schedule of the pool nearest you . While I have little by means of comparison, my roommate, who has been swimming all of her life says the DC public pool system is pretty sweet. There are seven indoor pools spread throughout DC that are open daily year-round and about twenty outdoor pools that are open during the summer months. The majority of the indoor pools are open until 8 or 9 on worknights, for those who want to get a workout in at night. Get after it! Swimming is totally the new yoga. Thanks for writing this post! Do you have to reserve lanes at the DC pools, or is it “first come, first served”? At the SE pool, you just jump into whatever lanes are open. 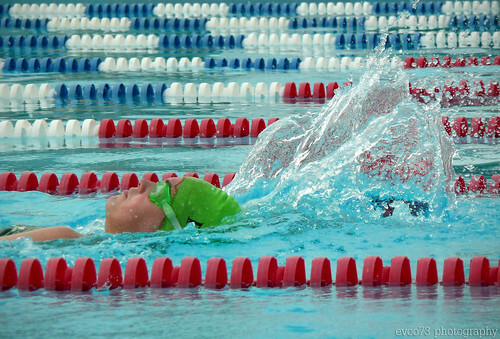 During free swim, there’s generally some circle swim lanes, a slow lane, a fast lane. Pro swimmers/dudes often intimidate you and insist that you split the lane, despite the giant “circle swim sign,” but overall people are pretty accommodating. Good post – I like swimming also. Correction: Olympic pools are not 50 yards, they are 50 meters. Most pools in the DC area are either 25 yards or 25 meters. However, there are some non-standard length pools around.